The past few years have seen rapid changes in the understanding of congenital malformations and acquired diseases. 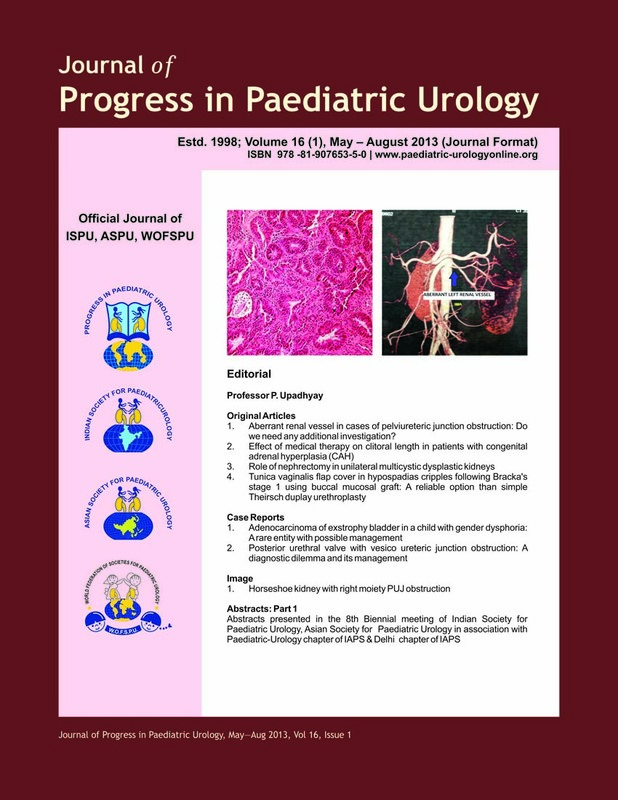 Paediatric Urology has not remained untouched by these developments. Presently, there are numerous journals which address these problems with authors presenting their points of view. A personal bias in the results of the study, albeit inadvertently, becomes unavoidable in such publications. Also, at one point of time several articles exist on the same subject, with as many points of view. On the other hand, some textbooks attempt to review the subject. But, unfortunately, sometimes several years may pass before a new edition of the textbook is printed. Thus, the reader is left with exhaustive reviews of the journals needed to keep pace with the developments. The shortcomings of such alternatives cannot be overemphasized. The present attempt is to provide to the reader with a balanced and comprehensive review of the problem, with clear instructions and key information, on an annual basis. The chapters will be followed by additional commentaries where necessary.